Want a glimpse of paradise? 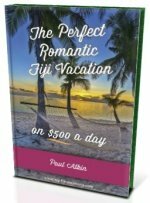 Visualise yourself already there with these superb Fiji videos, which is a collection of all of the videos on Amazing Fiji Vacations dot com website. "If a picture is a 1000 words then a video is worth 1000 pictures!" It's as close as you are going to get without actually being there! Each of the video links takes you to the location page of the video, where you can view it.